Alvina J. 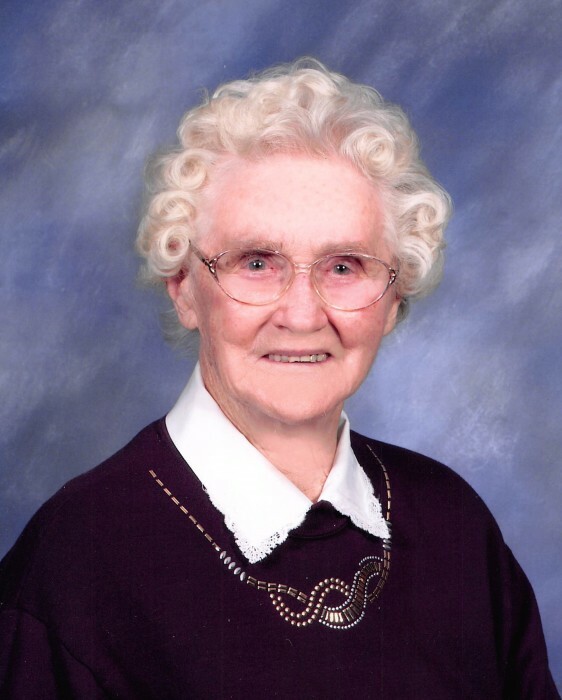 (Koennicke) Bahls passed away on March 15, 2019 at Essentia Health-Oak Crossing Nursing Home in Detroit Lakes, MN at the age of 99 years and nine months. The funeral service will be held on March 21, 2019 at St. Paul’s Lutheran Church of Evergreen in rural Frazee, MN at 11:00am. Visitation one hour prior to the service. Interment will be in the church cemetery. Alvina was born in Pine Lake Township to Gustoph and Gertrude (Jorgenson) Koennicke on June 17, 1919. Alvina was united in marriage to Walter Bahls on October 5, 1938. Their marriage was blessed with four children. Alvina and Walter lived on the family farm in Evergreen Township. Alvina enjoyed farm life, gardening and her flowers. After retirement, she and Walter remained on the farm in a trailer home. They enjoyed taking trips to the west and east coast. Alvina is survived by her daughter Janice Svare of Audubon; her sons Dennis (Deana) of Perham, Dallas (Debbie) of Frazee and Delvin (Pat) of Perham; eight grandchildren; twelve great-grandchildren; and half-sister Pearl (Wayne) Romann. Preceding Alvina in death were her parents; husband Walter; and son-in-law Charles Svare.